The rumors were true: Blizzard Entertainment has announced Diablo III. The game is currently in development for Mac OS X and Windows. Blizzard unveiled Diablo III at a worldwide invitational gaming event held in Europe over the weekend, and has posted details to its Web site, including a cinematic trailer and gameplay video that offers an in-depth look at some of the game’s new capabilities and features. A new sequel to Blizzard’s action role-playing game series, this is the first new Diablo game to be announced since Diablo II was released in 2000. 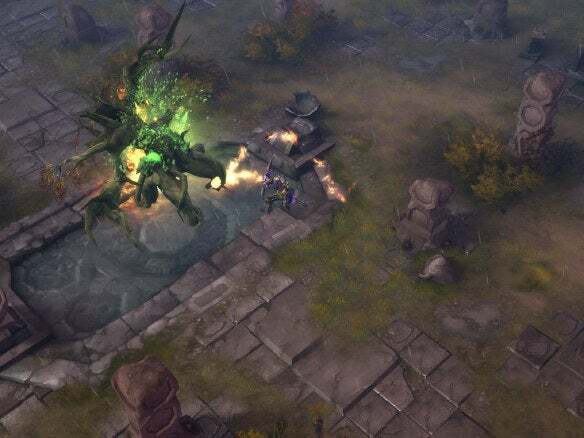 Since then the company has turned its attention to its Warcraft franchise, first with Warcraft III and more recently with World of Warcraft; the company is also working on StarCraft II, a followup to its enormously popular real time strategy game series. Diablo III is set in a fantasy world populated by vicious monsters and demons. It’s the world of Sanctuary, a land saved twenty years prior by the heroes of the first two games — heroes who lost their minds by facing the armies of the Burning Hells. The game retains the familiar isometric (three-quarters perspective) view of previous installments, though graphics and gameplay have, of course, been updated to suit modern computer systems. Blizzard confirms that the game is being developed simultaneously for both Mac OS X and Windows, as the company has long done for its games. Diablo III will be the long-awaited sequel to Blizzard's 2000 action role-playing game. Five character classes will be included in the game, and players who tire of single-player action will be able to participate online using Blizzard’s Battle.net service. System requirements have not yet been announced, nor has a release date or pricing — Blizzard famously tells the public that its games will be released when they’re done. Look for many more details to be offered prior to the game’s release.